If people in ancient Russia could choose a single dish for any feast it would be kutia – a legendary ritual food that was an absolute essential on every Christmas Eve table. 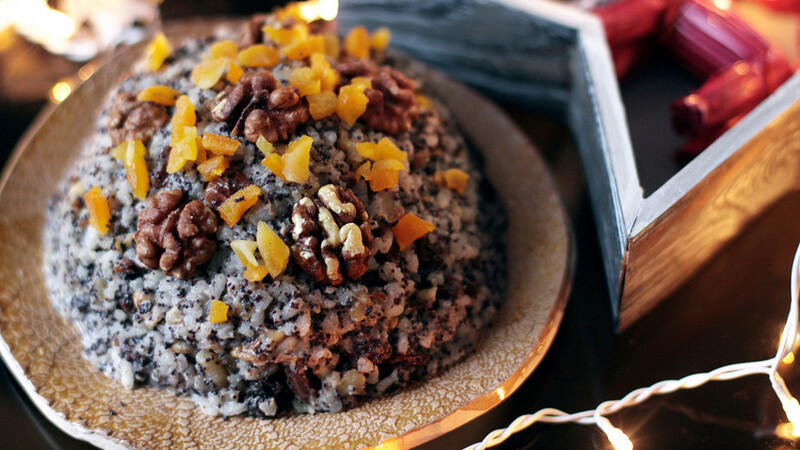 Kutia is such a significant dish for Orthodox Christians because of its profound meaning. The eastern Slavs have always taken every single ingredient of any dish very seriously. Kutia mainly consists of wheat – the symbol of resurrection, honey – eternity, nuts – health, and poppy seeds that signify fertility. Combining all these powerful symbols, kutia is considered to be the main course on the Christmas feast. There are actually two traditional kinds of kutia: “rich” and “shy”. “Shy kutia” is the one that is made for Christmas Eve. Traditionally it consisted of wheat, honey, dried fruits and berries, and poppy seeds. Orthodox Christmas follows immediately after Advent so this sort of kutia is a kind of tribute to the fast. So-called “rich kutia” is cooked for other holidays such as birthdays or christenings and may contain milk, cream and generous amounts of butter. Kutia is still a must for Christmas in some religious families these days. The only difference is in the main ingredient – wheat. Today there are lots of variations on how to make kutia out of barley or rice – my favorite way. I really love this particular kutia recipe because it is very easy to remember as far as proportions: you will need half a glass of almost every ingredient. 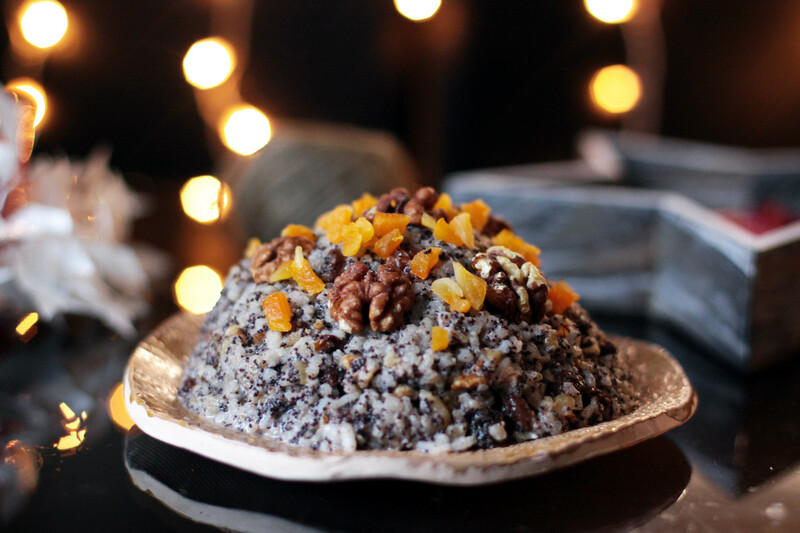 First of all prepare your dried fruits: here I follow the traditional recipe and use raisins and dried apricots but as we make kutia with a modern twist, why don’t you add another filling to your taste? Dried cranberries or prunes would be great. Cover the fruit with one and a half glasses of hot water and set aside – this way you make a kind of kompot. 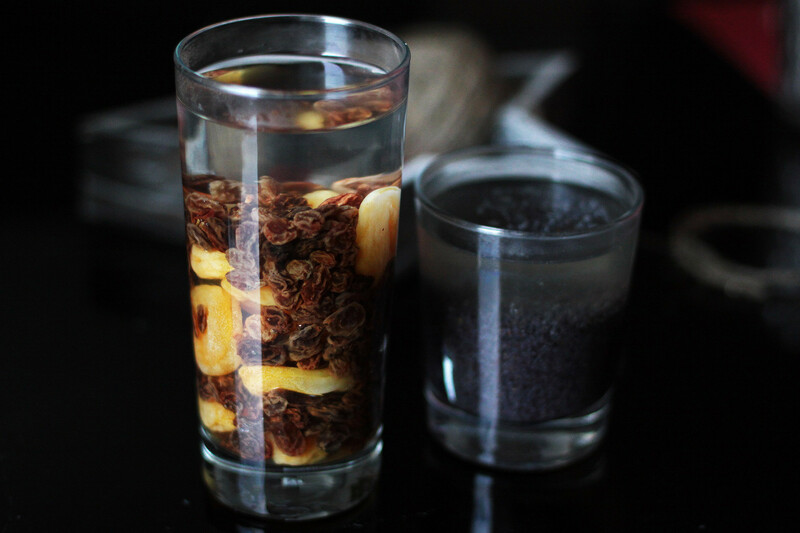 When the dried fruits have soaked enough, drain the infused water into a clear glass but don’t waste it: this will come in handy later. The poppy seeds should also be covered with boiling water and allowed to stand for around 20 minutes. Next prepare the rice: rinse it in cold water and transfer to a pot. 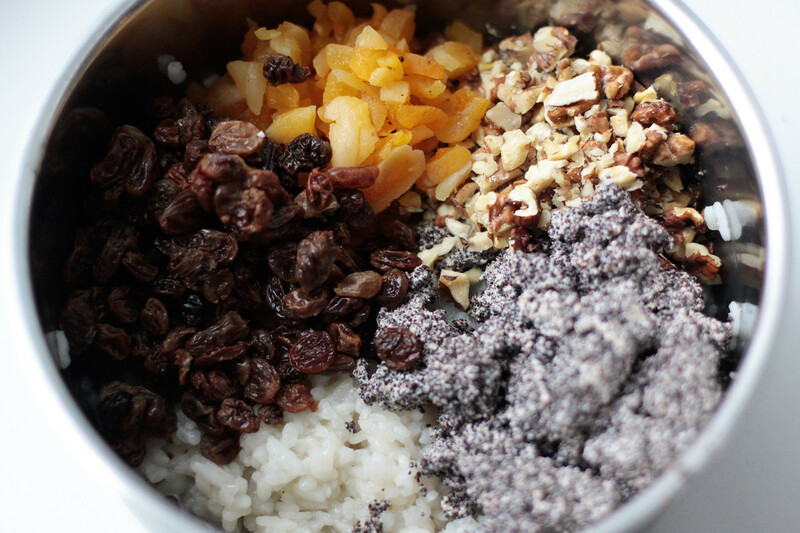 You can boil rice in regular water but I suggest using the fruity infusion from the raisins and apricots. It gives the rice such a rich and unique taste. Add a pinch of salt and cook on a medium heat. Meanwhile chop the walnuts and soaked apricots and raisins to medium-size pieces with a knife. 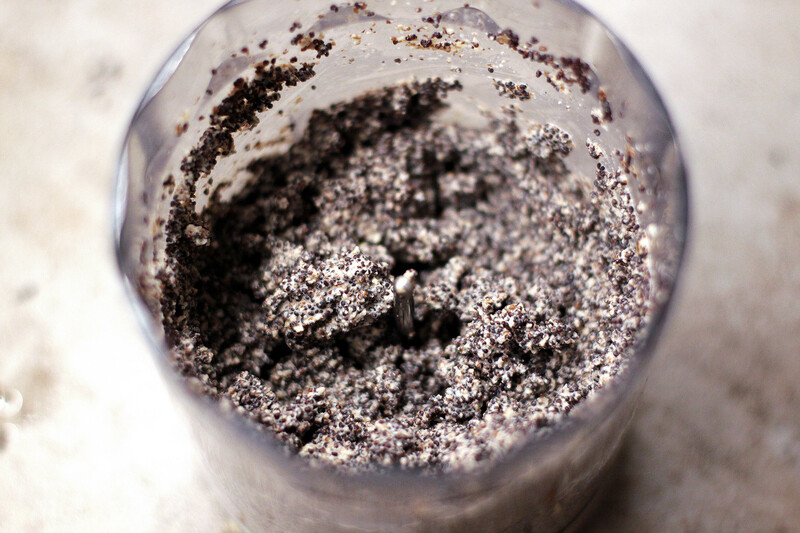 Drain the poppy seeds and grind them in a food processor for a couple of minutes. 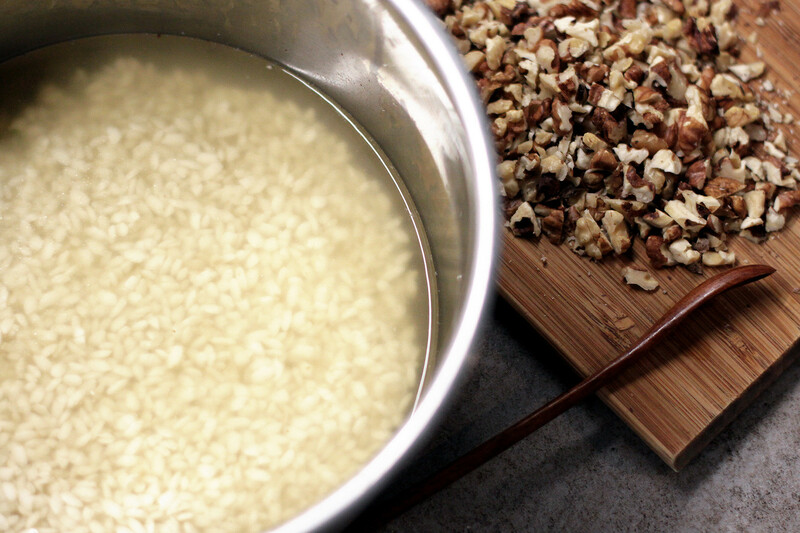 Add 1/3 of chopped walnuts and grind again – the mixture should whiten and have a nice and soft consistency. For even better results you can further grind the poppy mixture in a mortar. When the rice is ready and still slightly watery, turn the heat off and add honey to taste. Then add the chopped walnuts, apricots, raisins and mashed poppies and mix everything together. Let your scrumptious kutia cool for at least 30 minutes and serve it cold or warm with a sprinkle of chopped dried apricots, nuts and ground cinnamon. Actually, the longer kutia sits, the fuller its flavor is. So don’t be afraid to refrigerate the rest and enjoy it later. Merry Orthodox Christmas and priyatnogo appetita! Imagine you're celebrating Christmas in Old Orthodox Russia and read our article about sumptuous dishes for Holy Night. Why are Russian people (mostly) Orthodox Christians?